I think that anyone who has ever heard me speak publicly knows that I am not on the attachment bandwagon, at least not in the way its held out as magic treatment for kids and youth who present chronic conflict. However, I don't argue that children and parents have to develop an emotional connection and that this is a basic goal in any family formed through adoption. So, my concern around this today is that I believe that social media is having a very negative influence on the attachment process (in whatever meaning that word has for you) and we aren't adapting our attachment strategies to include this. 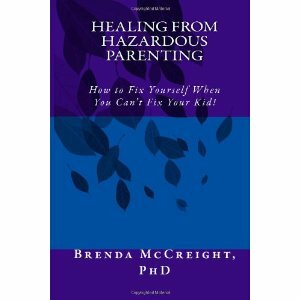 Let me explain - I've been a therapist for 30 years, and an adoptive parent even longer. 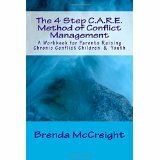 I've raised children and counseled families though a variety of trends and changes but up to the last 4 or 5 years, I knew that by providing some basic strategies,a few communication skills, some new ways of parenting, a bit of effective therapy, and allowing time, the parent/child relationship would be established. It might be wobbly and fragile, but it would be develop. However, with the addictive nature of social media, many, many kids and youth spend more of their time communicating with people who aren't present than communicating with people who are. In other words, the time that Junior could be spending in conversation or games, or even tv watching with parents, is now spent on their electronic device. The time and energy that kids used to put into bonding with their new parents, is now overwhelmed with the psuedo bonding they have with peers via constant texting, snapchatting, etc. Even the basic emotional presence that is required for attachment is shut off as Junior's presence is focused on replying to each text and each chat. Furthermore, the lack of words and the lack of emotional context (other than violence and intimidation) that are part of social media are very appealing to a dis-attached child or youth. After all, any child who has been through the foster system has learned far too early that adults aren't to be trusted and that the only things that are permanent are change and loss. And, while the child bounces through foster care, they are too busy surviving to pick up relationship sustaining skills. So, again, relationships that exist via social media are going to appear to be more familiar, less demanding, and safer to the child or youth than the complex knot of feelings and connection that the adoptive parents are trying to establish. Its as if social media builds a wall around Junior that is as impenetrable to the adoptive parents as the whole set of negative experiences that existed for the child pre-adoption. As a therapist and a parent I'm putting a lot of thought and consideration into adapting my way of relating to my own teens and my own clients as we pioneer this new reality. Okay, what are your thoughts and experiences on this? And, remember, you are entitled to a better day. I am not an advocate for attachment babble in it's current format, although I have not yet had the priviledge of hearing you speak. Additionally, the current buzzword of "trauma" seems overly dramatic. Our emotional connections are more of a side effect from shared lives. It does not hurt to become more intentional in trying to build our connections with others - learning about attachment can sometimes be helpful in that context. It certainly enriched the information I had and allowed me to make a couple of positive adjustments in my own approach. As adults, we are able to supplement our in person friendships and such with online ones, largely because we already have developed the emotional capacity to do so. This is certainly not the case for children. They are not simply miniature adults.